In today&apos;s ultra-complex service architectures—where millions of unique requests all behave slightly differently—it&apos;s beyond human capabilities to know exactly which services get triggered by a single user action or application, and how those services in turn call other services. 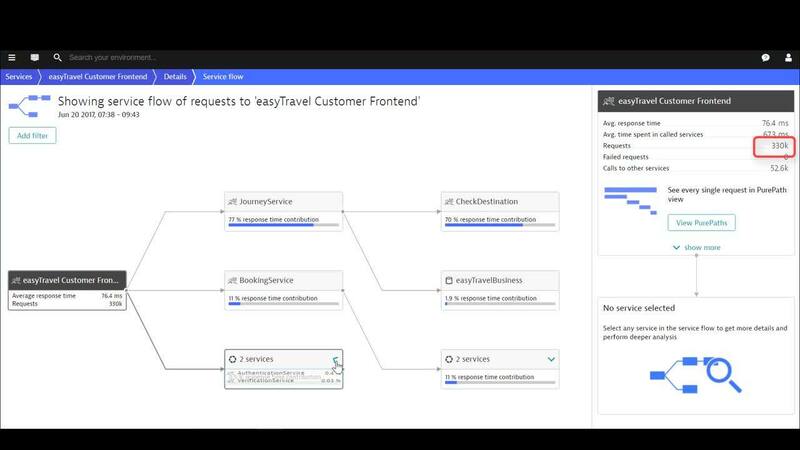 With just a single click, Dynatrace service flow automatically maps out for you individual service requests from end to end—you see the specific sequence of every service called as a result of any single request. No more guesswork: Understand exactly which applications and user actions trigger which services, step by step & end to end. Complexity simplified: See at a glance which services are dependent on other services. 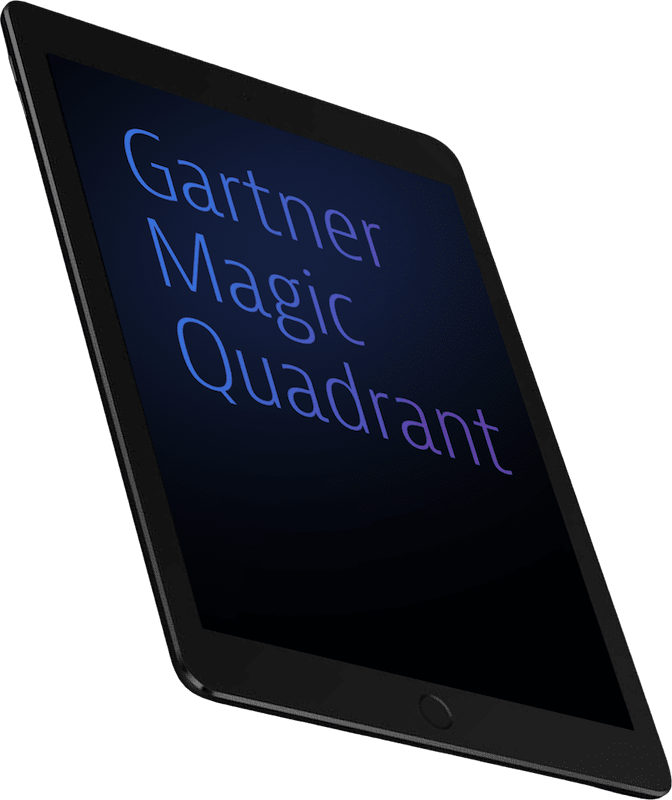 3rd-party insight: Identify how, where, and when 3rd-party services interact with your application-delivery chain. 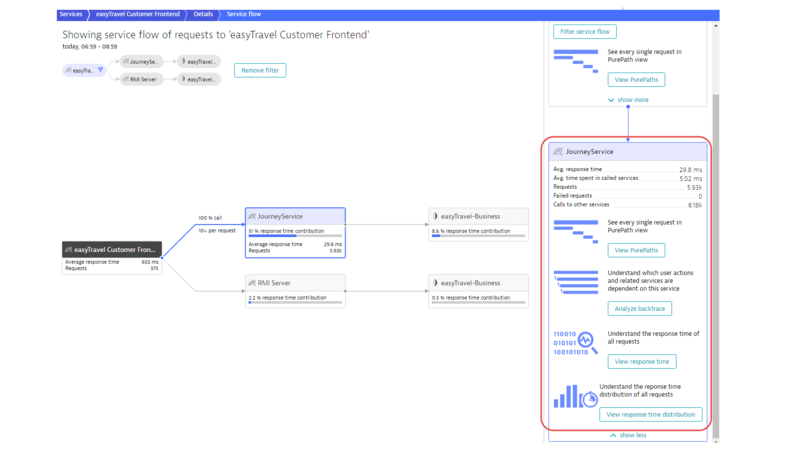 Service flow doesn&apos;t just show you how individual service requests behave, it tells you how they perform. Dynatrace, with end-to-end full stack monitoring capabilities, provides metric detail on number of requests, average response time, and—most significant to customers&apos; user experience—how each single service in a specific call sequence contributes to the overall response time. Pinpoint bottlenecks along the application service-request call chain. Identify and fix chatty service requests. Detect issues with 3rd-party services. Analyzing the behavior and performance of individual requests in modern application environments can be like trying to find a needle in a haystack. Our advanced filtering capabilities make it easy to zero in on subsets of requests. 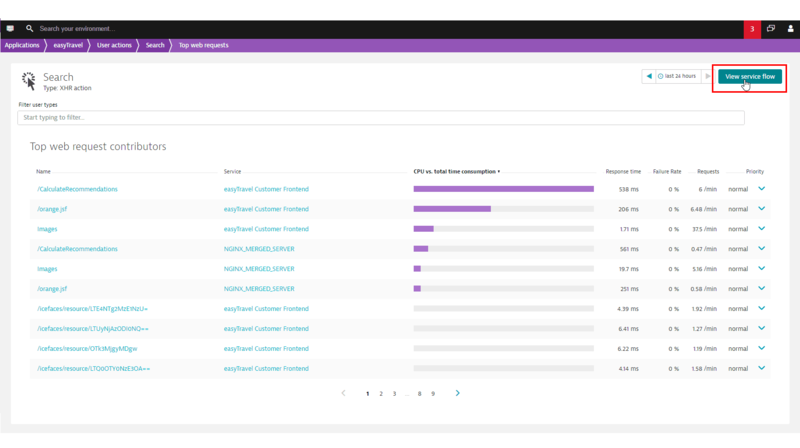 Instead of combing through thousands of transactions manually, simply define your criteria and Dynatrace automatically finds the handful of requests that are important to you. Check out this short video to see how with just a couple of clicks, service flow finds that needle in a haystack! 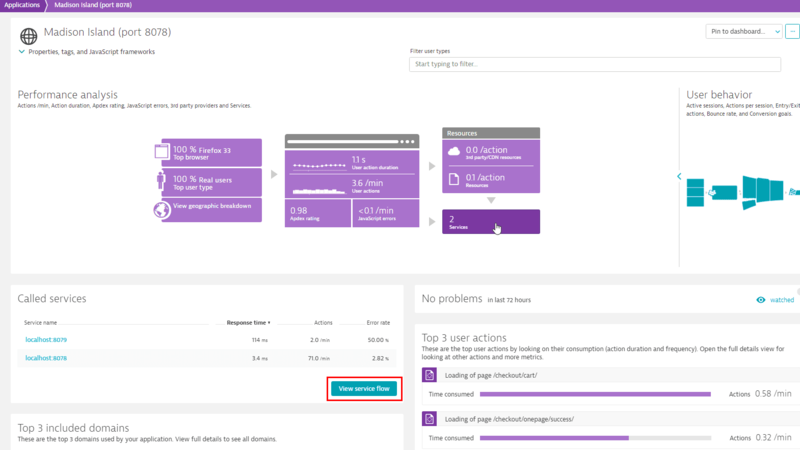 Dynatrace lets you look at service flows from multiple angles with just a couple of clicks. 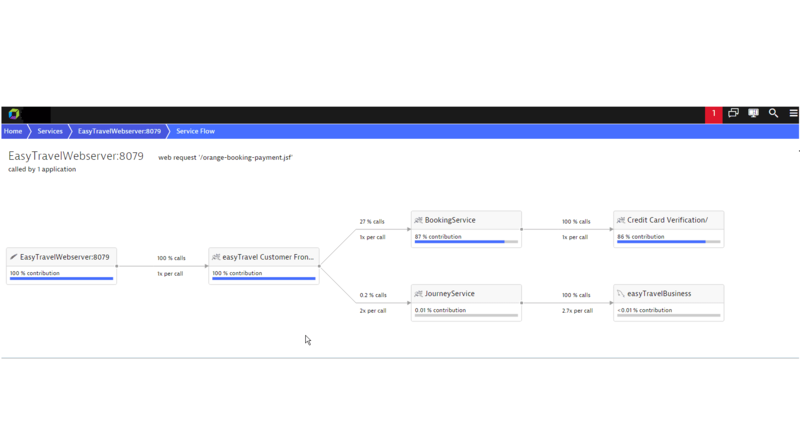 Because service flow filters remain consistent across all analysis views, your analysis remains focused on the exact call sequence that you’re interested in as you step through all available analysis. The PurePath view shows each service call as individual requests—each of which can be analyzed separately. Service backtrace shows the sequence of service calls from an individual request all the way back up to the browser click that initially triggered the sequence. Dig deeper into response time analysis for any and all called and calling services. 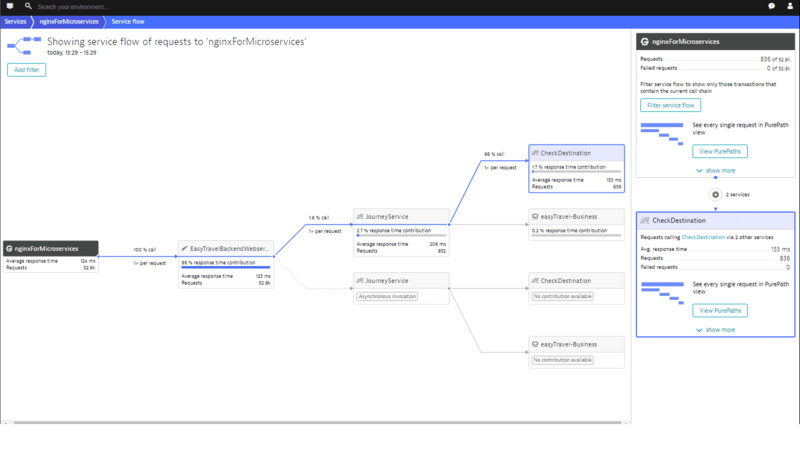 See for yourself how Dynatrace simplifies complex service architectures!